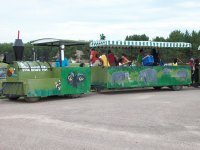 Roaring Rivers Waterpark at Logos Land Resort is the perfect place for family fun. The various activities available offer endless hours of fun. Activities include Giant Waterslides, Kiddie Waterslides, Splash Pad, Mini Golf, Paddle Boats, Private Beach, Water Trampolines and Hiking Trails. Please click on one of the pictures below for additional information regarding On-Site Activities, Rates & Hours, Waterpark Rules, and food available on-site. Free Parking. When entering the waterpark there are 2 types of passes to choose from. For those wishing to supervise: the general admission gives you access to the grounds, beach, hiking trails, & animal farm. For those wishing to slide, the splash pass gives you access to the waterslides, splash pad, water trampoline, mini-golf & paddleboats. Depending on whether you are here the for the day or for an overnight stay there are 1, 3, or 7 day passes available. ​General Admission Day Pass: provides access to grounds, wading beach, hiking trails, picnic areas, volleyball area, basketball hoop, animal farm, change rooms, washrooms, grill house, small camp store, Champlain Museum & Trail. The General Admission Day Pass is included when you are staying overnight in Motel, Villa, Cabin, Rental Trailer, campsite or RV site. ​Splash Pass: includes all General Admission privileges plus unlimited access to Waterslides, Splash Pad, Mini-golf, Water Trampoline and Paddle Boats (within buoyed area). 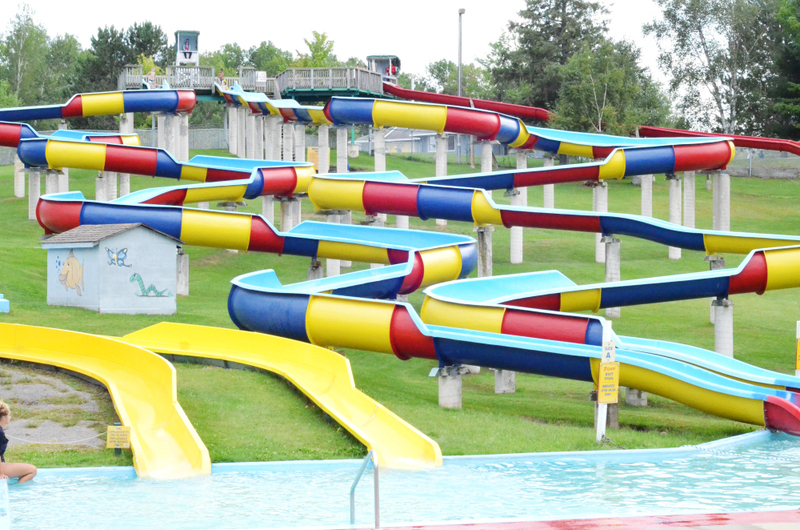 Waterslides include: 2 - 390' blue slides, 1 - 350' red slide, 2 - 60' children's slides (up to 60 lbs). ​Lifeguards are on duty for family fun. ​1 hour Watercraft: $13.27 (choice of kayak, canoe, Water Bike, or Stand-Up Paddleboard). Watercraft token is a per watercraft charge and not a per person charge. ​Taxes not included in pricing.